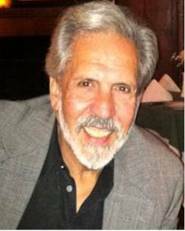 It is with tremendous sadness that we inform you of the passing of Louis F. Buccieri of New Canaan, CT from complications associated with heart failure and lung cancer. Born May 29, 1938 in Greenwich, CT Louis was raised in Darien, CT, spent most of his adult life and raised his children in Stamford, CT. Predeceased by his parents, Frank and Sue Buccieri of Darien, CT, Lou leaves behind his wife of 19 years, Brooke L Buccieri of New Canaan, his daughters Lana J Buccieri and Lyn Buccieri Fox and his grandson, Cooper B Fox also of New Canaan. Dearly loved by his family and friends Lou was a loving husband, father, grandfather, uncle and very well respected in the Stamford business community. Unofficially dubbed by many the “Mayor of Stamford’s Eastside” there was never a face Lou didn’t seem to know and warmly greet. Generous to all with his wisdom, time and resources he was always tenderhearted to those most in need. Professionally, he owned and operated New Hope Service which was for years the largest Mac Truck service provider in New England at the East Main Street location in Stamford that now comprises his company’s commercial real estate holdings. Both individually and as past Vice – Chairman of the East Side Partnership, Lou was a tremendous supporter of the Stamford law enforcement community from building the City’s first battering ram to aiding in the purchase and training of the City’s first K-9 officers. An expert with engines and a passionate race fan, Lou worked on many a racecar engine as part of both sprint car and dragster pit crews and actually attended the Daytona 500 when it ran on Daytona Beach. His passion for classic cars saw him restoring by hand a 1948 Cadillac fastback series 62 which was featured in the Greenwich Concourse d’Elegance and won many awards in several regional car shows. In keeping with Lou’s wishes, there will be no calling hours. The family invites those who wish to join them in attending the funeral mass at 10:30 am Tuesday, May 15, 2018 at St. Aloysius Parish, 21 Cherry St., New Canaan. Reception to immediately follow at Stapleton Hall, St. Aloysius parish, New Canaan. Interment will be private. In lieu of flowers, donations in Lou’s memory can be made to St. Aloysius parish, the Diocese of Bridgeport or RealLifeCatholic.com. Person to Person on wheels has arrived in Stamford Offering food and social services. Roni Alam used to drive 6 miles to Norwalk to shop at his nearest big-box home-improvement store. Now the Stamford resident has found a much closer alternative.